Mr Tony Raymond Bull gave his Semon Lecture in 2000. He detailed the difficulties faced by those carrying out nasal plastic surgery in order to both satisfy a patient’s desire for an aesthetic nose and also the necessity for any airway obstruction to be removed. Bull also challenges the misconception that large and deformities are easy to improve and instead highlights that what is easiest to improve is in fact moderate deformities, before detailing the anatomy and techniques involved in these corrections. Tony Bull was born on the 21st of December 1934 in Somerset, England. He had a prominent career and is often remembered for the work he did in progressing nasal plastic surgery through constructing a successful Rhinoplasty course at The Institute of Laryngology and Otology. 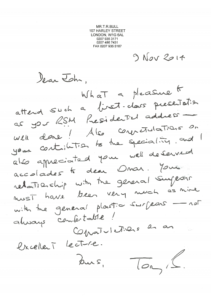 Bull went on to co-found and later become President of the European Academy of Facial Plastic Surgery and also elected as President of the Section of Otology at the Royal Society of Medicine. 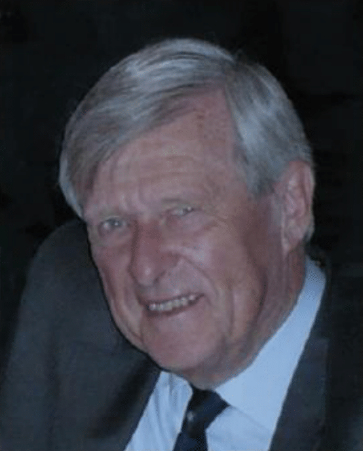 During his career, he also published a number of papers, books, including his Colour Atlas of ENT, and was co-editor of Facial Plastic Surgery.